Some students may display poor adaptive, inappropriate or immature personal behaviour, low self-esteem, emotional disturbance, general clumsiness and lack of co-ordination of fine and gross motor skills (Cornish & Ross 2004). Students’ self-esteem can be affected, particularly when they enter post-primary provision, which may result in unacceptable behaviour as a way of avoiding failure (Westwood 2015; Winebrenner 2014). Insofar as Intelligence Quotient (IQ) may be used as an indicator of MGLD, such students’ cognitive functioning’s range from IQ 50 to 70 on standardised IQ tests (NCCA 2007; Winebrenner 2014). 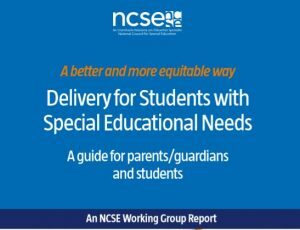 Remember that each student with a MGLD has different strengths, learning style, personality and varied interests and the same need for affirmation and success (NCSE 2014).